Further enhance your driving experience when you buy car accessories. Some of these awesome equipment isn’t just for aesthetic purposes only. They can also be used to improve your car’s over-all protection and even provide additional storage options for you. The best part about buying car accessories is that it’s up to your personal preference. You can dress up your car any way you want. If you wish to a batmobile, get matte black accessories as well as Batman decals. If you want a pretty pink party car, get pink embellishments and pink car parts. Of course, there are so many car accessories out in the market today! So which ones should you definitely put in your needs list, and which ones are strictly on the wants list only? Read on to find out which car accessories are absolute necessities. Collect information about the different car accessories now available on the market and share it with your friends! More awesome topics about different car accessories are coming soon! Don’t forget to regularly check the Car Accessories homepage and this page for more updates! What accessories to buy for your first car? Where can I buy accessories for my car? There are about 30,000 parts, counting down to the smallest screw in a car. But we always know that there is always room for more stuff. The automobile aftermarket has a plethora of cool car accessories to enhance your car in at least thousands of ways. However, we’ve shortlisted them to the top 17 car accessories that we think it will greatly benefit you while driving on the road. One of the essential parts of your car is the seat and most economy cars do not come with the best car seat. But, don’t succumb to an aching back just because you didn’t buy a luxury car. 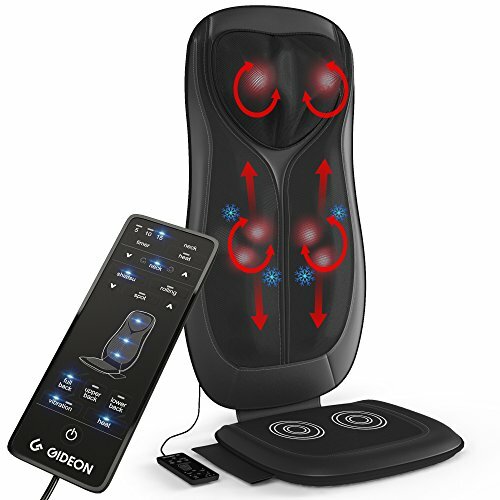 Add a heated massage cushion like the Gideon Luxury Six-Program Customizable Massaging Cushion with Heat will give you a pleasant experience while driving. This seat is simple to operate and one of the best car accessories to buy especially if you drive long trip frequently. Plug it into 12-volt power from your cigarette lighter, and experience treatment like rolling massage, Shiatsu deep kneading, vibration massage and therapeutic heat. The comfort that you experience will change the way you drive – you’ll be taking a long way home instead of dreading your commute. 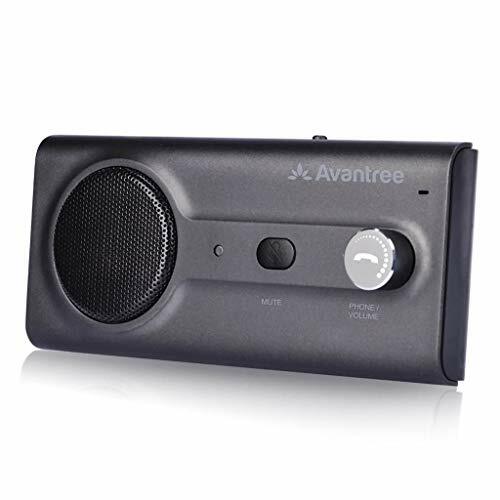 This Avantree Bluetooth hand free car kit has many cool features like echo and background noise-reduction feature, volume controls, auto power on and many more. The 2W speaker allow you to have a crystal-clear call and audio. Also, it allows you to connect to 2 phones simultaneously and easily switch between music and calls. The Avantree Bluetooth kit is a subtle and effective way to bring your car audio system into the modern age without replacing the factory or aftermarket equipment. And it’s ideal for summer road trips, as you’ll comply with hands-free cell phone laws that change from state-to-state. Also, the low price range make this hands-free car kit as one of the cool car accessories for a gift. 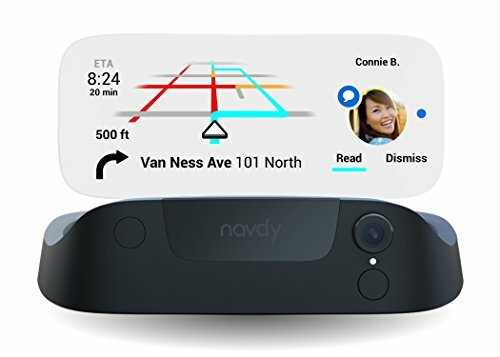 While Navdy claim its head-up unit (HUD) as “the world’s first augmented driving device”, it’s indeed quite remarkable. Among all the cool car accessories we saw, the Navdy is definitely one of the best. This device is mounts on the dashboard above the steering wheel. The display has a 5” wide by 2” tall transparent lens, putting its display in the bottom of the driver’s line of sight. Navdy has a build-in GPS chip and antenna with sensors to determine your vehicle’s location and direction. This device also comes with a “Navdy Dial” attaches to the steering wheel. You can use this dial to control some of the functions. If Minority Report is your thing, the Navdy also responds to hand gestures which you can answer and make call hand-free. This HUD is indeed one of the coolest car accessories you got to have it. Uniden’s R3 Extreme radar detector, detects both radars and laser. It’s one of the most important car accessories to have if you speed a lot. It has a 360 Degree Digital Signal Processor to let you know where the radar is coming from. 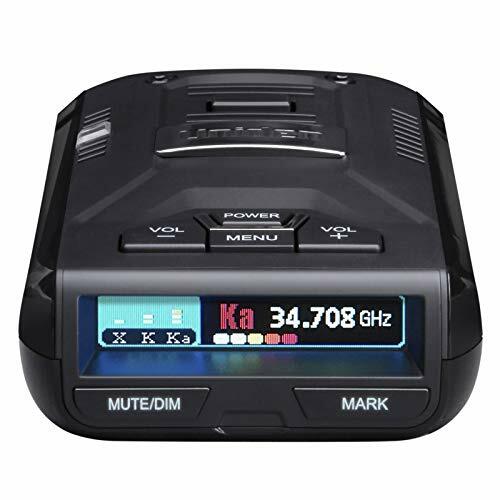 The Uniden R3 Extreme Long-Range Radar Laser Detector also come with features like GPS With Red Light Camera Alerts, K false filter, KA false filter and many more. Although this device can potentially let you escape speeding ticket but don’t exceed the posted speed limit. That’s against the law. Sometime, the standard horn on your car barely be heard. It’s like there is no horn at all. Now, let’s upgrade to a more powerful horn that guarantee attention from blocks away. The Nautilus Compact Mini Air Horn is a small but loud air horn that you can modulate from a short toot to a high-decibel pulsing blast. 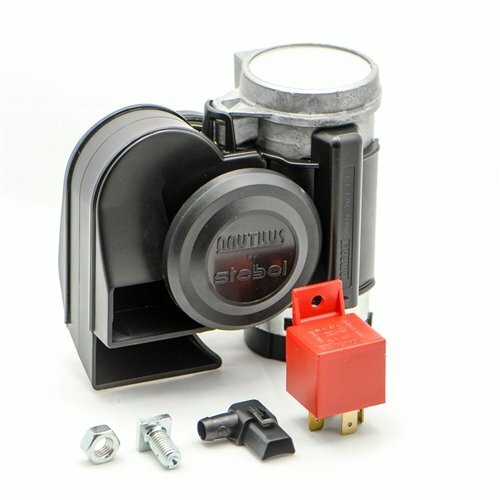 This horn will work with any 12-volt system and comes with a water-resistant compressor. The Nautilus Compact Mini Air Horn is one of those fun car accessories to have, for sure. Sometimes a simple product can solve a problem that you didn’t even realize you had. And, do you know what is one of the fun car accessories to have? A French fries holder of course! If you love French fries, you going to love this Universal Car French Fry Holder. 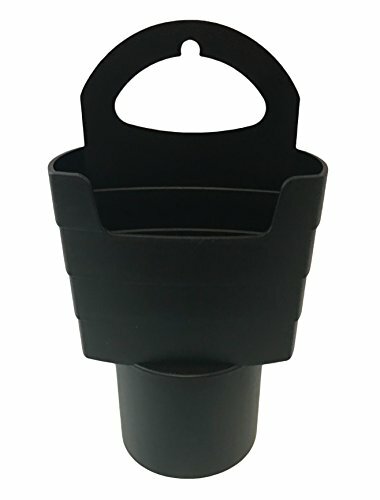 Made of high-tech plastic, it fits in a standard cup holder slot and provides a perfectly secure perch for your large order of fries. This fries’ holder is easy to clean and it’s one of the best car accessories for gift exchange idea. Also, if you are not satisfied with your purchase for any reason, the seller will issue a full refund. Most car owner neglected one of the most important part of the car – tires. Many times, common issue like the tire under inflation can be easily avoided if you keep an eye on the tire pressure. Do you know that a tire without the right amount of air wears out more quickly, and negatively impacts fuel economy? 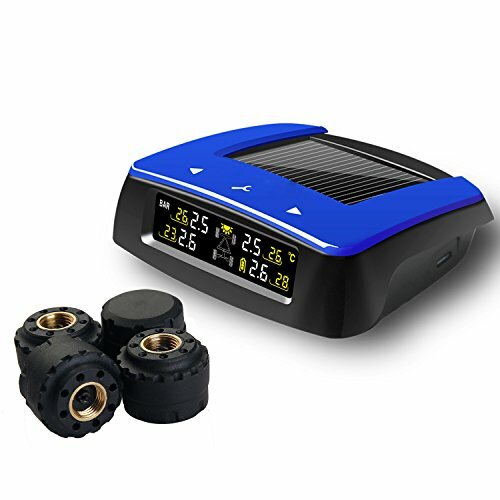 While new cars come with tire-pressure monitors; Vesafe Universal Wireless Tire Pressure Monitoring System can easily install to any older cars. Also, it’s very simple to install. Four sensors screw directly into the valve-stem caps on each tire. A receiver that mounted on your dashboard displays the current PSI for each, making it easy to keep on top of proper tire maintenance. Jumper cables are helpful if you have another vehicle nearby to give you the power to jump start a dead battery. However, if you’re in a more isolated area, jumper cables are essentially useless. The handy GOOLOO potable self-powered jump starter is ideal for this exact scenario. This power bank can produce 500A peak current which is enough to jump start any motorcycle, RV, tractor, light-duty trucks, cargo vans, ATVs, snowmobiles, oil boat, etc. Not only that. It also enables you to charge your phone like any regular power bank can and has a build-in emergency LED flashlight. Also, what’s good about this product is that it has excellent Security Assurance features. It’s equipped with smart jumper clamp, which can protect your devices from over current, short circuit, overload, over-voltage, over-charge, reverse polarity and reverse connection. 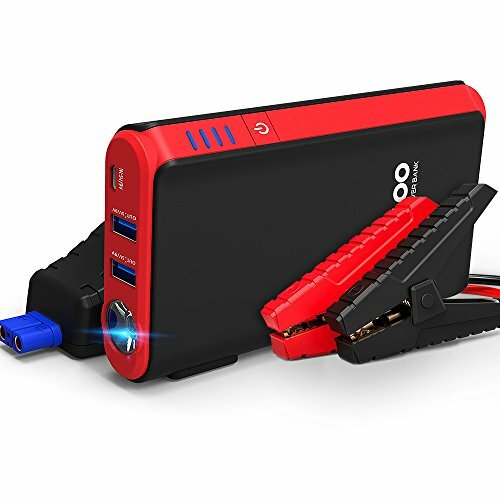 GOOLOO 12-Volt Car Jump Starter power bank comes with an 8-month extended warranty and a 30 days money back guarantee. No one wants to think that they will get in a car accident. However, getting yourself prepared will give you a sense of security. The Ztylus Stinger is one of the best car accessories at your disposal after an accident if you got trapped inside the car. In the event that car windows or doors are jammed, the Stinger is designed to shatter the windscreen or car window, thus allowing you to quickly exit your vehicle. The device also has a slim blade build-in on the backside, which allows you to slice through a jammed seat belt. 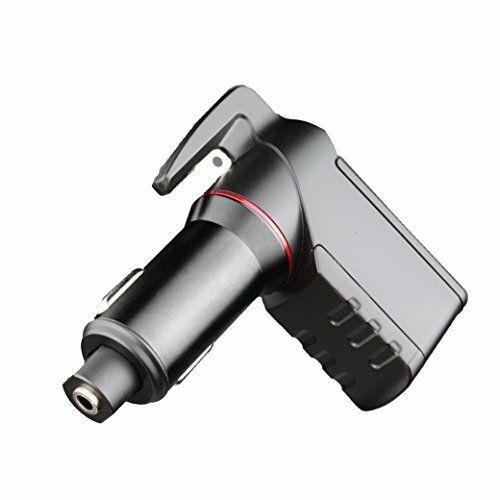 Not only that, this little device is also a USB charger which plugs into your car charger for high speed charging for your electronic devices. It features an intelligent circuit design to protect against short circuiting, over-heating, over-currents and over-charging. Ztylus Stinger is one of those cool car accessories that is prefect for gift exchange too. Nowadays, you can’t go out without your smart devices like phone, tablet and etc. But what happens when they run low on battery? The SCOSCHE’s charger is universal compatible with major smart devices brands and build-in with advanced circuitry to optimize the charge time. While there are USB hubs with more ports, this unit is one of the best given its compact design and budget-friendly price tag. 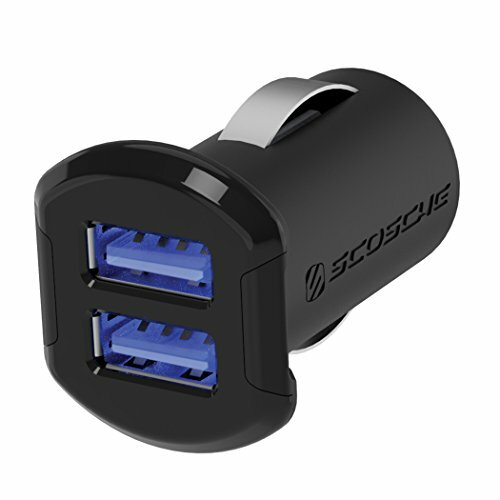 Also, the Scosche’s USB charger comes with lifetime tech support and 3 year warranty. Sometime we can be forgetful. Unsurprisingly, one of the most commonly misplaced items are our car keys. Thankfully, the Esky Key Finder is a wireless tracker easily slides onto a keychain, allowing you to track the whereabouts of your keys. 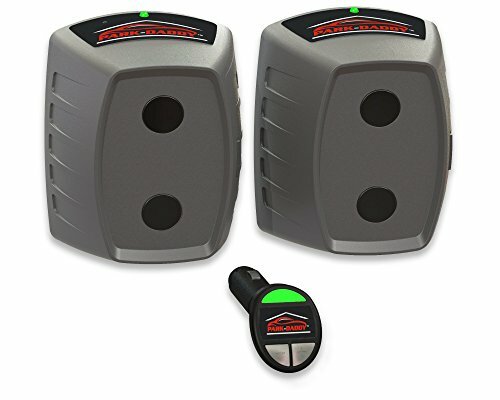 Each Esky key finder kit comes with six small locators and a remote control. The radio frequency can penetrate through walls, floors, cushions, leather, etc. to help find your item up to 30 meters away. The Esky Key Finder comes with lifetime support for each purchase. So, if you are a forgetful person, the Esky key finder is definitely an important car accessory to have. A dash cam is an excellent tool in the event of an accident when it occurs. It can help you to determine how the accident happen and who is at fault. This can potentially help you to save a lot of money from insurance and road accident fines. Our top pick the APEMAN C420, a compact Dash Cam equipped with a 2.0’’TFT-LCD screen packed with tons of features. This device captures images in crystal-clear 1080p Full-HD and 170° wide angle video. It also equipped with the Advanced Sensor to capture sharp and color-accurate images during day and night. The built-in G-sensor technology automatically save footage in the emergency events. 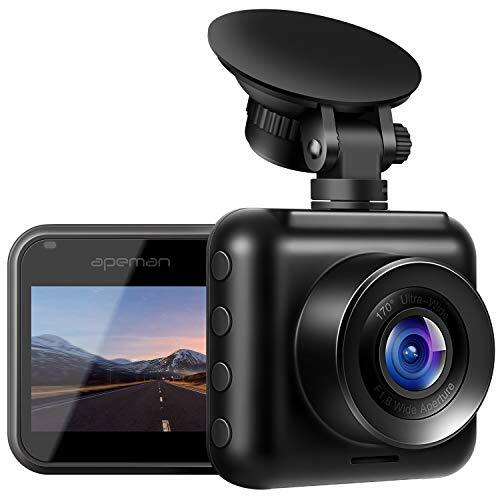 Also, the APEMAN dash cam will capture details whether you are driving or letting it monitor your parked vehicle. Sometime the lack of light and blocked view makes parking in a garage very challenging. It can double the difficulties if the garage is small. This is where a parking assistant will come in handy. It helps maximize space and prevent you from continually tapping our front bumpers. This simple parking assistant from Park-Daddy let you quickly install without doing any hard wiring. This parking assistant will let you know when you’ve pulled up far enough, without any ill-fated guesswork. The Automatic Car Adapter plugs into the standard diagnostic (OBD-II) port on most cars from as far back as 1996. However, take note that this device does not work with electric cars, though. 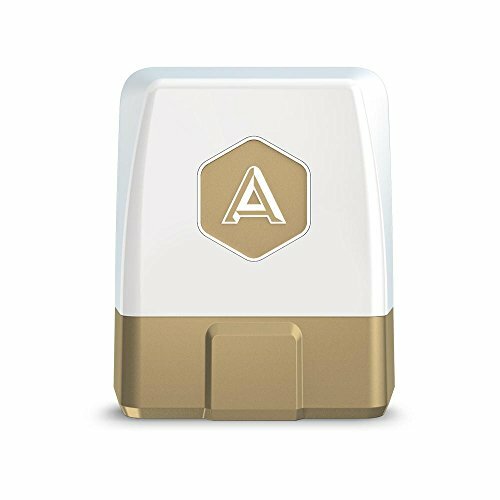 The Automatic PRO Car Adapter will pull data directly from your vehicle’s onboard computer and send to the accompanied mobile app. The paired mobile app also has many convenient features, including a vehicle locator, mileage log, and the ability to notify emergency services after an accident. If you are the geeky type, you can setup the Automatic PRO Car Adapter with third-party apps, such as IFTTT, Nest, and Amazon Echo. Now that you’ve amassed an arsenal of useful gadgets, you’ll need a place to stow them. The Lusso Gear car back seat organizer is a useful 12 compartments and multiple pocket storage option for families and hoarders alike. The unit is made of durable mesh and polyester, and special design with the extra reinforcement at its top part. Thanks to that, this organizer doesn’t fold when overloaded. The adjustable headrest strap also easily fastens to virtually any seat back, allowing you to keep all of your belongings within arm’s reach. 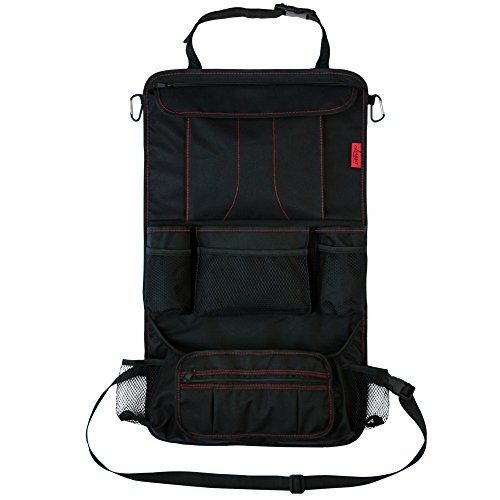 The Back Seat Pocket Bag not only excellent at helping you to keep your car organized, but it will also protect your backseat cover from kids putting their feet on the car seats. We really like the Lusso back seat organizer and we think it’s one of the best car accessories that every car owner should buy one. The eRapta ERT01 Rear View Reversing Backup Camera ensures you’ll never again dent your bumper during a reverse parking. Easy and quick to install, it consists of a small waterproof camera integrated into a frame you need to mount over your rear license plate. The camera has a 149° perfect view angle design to ensure you have adequate viewing of the back when parking cars. 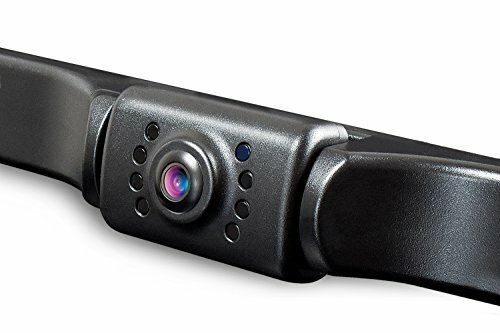 The eRapta reversing backup camera comes with 2 years factory warranty and 1-to-1 exchange within 24 hours if the item is defective when received. One of the cool car accessories to have is the VANMASS wireless car charger if you own a smartphone with wireless charging. 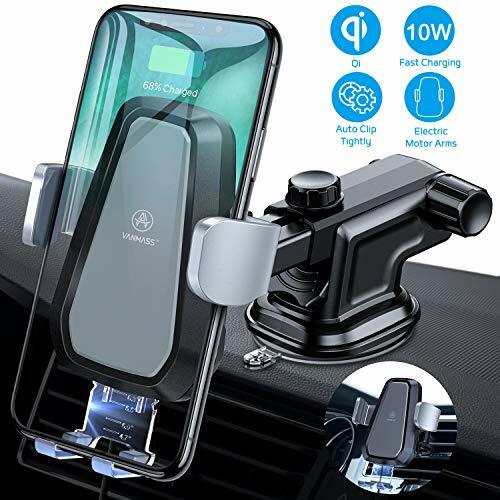 The VANMASS Wireless Car Charger is part phone mount, part exceptional Qi standard wireless charger. Its 360° rotation adjustable swivel ball allows easily rotate, fix, or tilt to any angle. It also supports vertical or horizontal charging to enjoy movies and music while charging. The VANMASS wireless charger also has fast charging available up to 40% better performances due to its new fast charging system. It’s compatible with many smart phones including Huawei Mate, Google Pixel, Samsung Galaxy and the latest iPhone. One of the simplest and most useful car accessories out there is a car cover. But not a lot people invest in one. The most basic isn’t even expensive! Car covers offer your vehicles added protection on top of all the auto care products you use. They act as actual solid barriers against surface contaminants and pollutants. Of course, car covers won’t help you while you’re on the road, but it can lessen the damage your vehicle may experience while it’s stationary. These are especially useful for people who do not have indoor garages. When it comes to auto covers, it’s not just about the ones who can fit your entire car under. A type of car cover that most people know about and purchase are seat covers. They aren’t just for decoration (although people love customizing them). They also provide some sunshade on your actual car seats and give protection from spills, crumbs, and other dirty things that might enter your car. They can be made out of different fabrics like velvet, canvas, and neoprene, and the best seat covers will depend on which type you prefer. If you want to read more about the many benefits and variants of car covers, read the in-depth articles found under the Best Car Covers. The next accessory on the list is essential to have if you want a fully-functioning car. The car battery is one of the basic auto parts all vehicles should have working all the time (or else you won’t move at all!). That’s why it’s crucial to get the best car battery there is out there! The technology that makes car batteries work hasn’t changed much in the last 70 years. But that doesn’t mean that they haven’t improved. Also, the best battery to buy is dependent on the size of your car and how new its model is. The smaller the vehicle, the smaller the car battery you need (most of the time). The larger the car, the more electricity it needs to run the car, therefore, the larger the battery required. However, newer models of vehicles also have computer-aided parts and modules, so they need more electricity to work. There are also other features and battery accessories to keep in mind like a battery charger, booster, and jumper. You should also think about the best battery that works for cold weather. Of course, it’s also important to check the best car battery warranty and prices. To learn more about car batteries, its other accessories, great brands to get, and the proper installation procedures, head over to this article – Best Car Battery. Aside from exterior car accessories, you should also think about the interior accessories that would provide comfort to your driving experience. Not only do interior car accessories give some enhancement features, but it also includes trinkets that can give your car a more personal touch. Visiting a car accessories store will show just how much interior bits and bobs you can buy for your own auto. These include but are not limited to car mats, seat covers, coasters, steering wheel covers, and many more. You can also get your own top-quality car organizer and car safety accessories. When you enter a car accessories shop, the first thing you’ll see (or rather smell) is the array of car fresheners they sell. They are the most common and the most accessible car accessories on the market. How personal can you get than your preferred scent right? There are hundreds of different car scents that cater to a lot of different preferences. Some like fruity fragrances, others like floral, others still like the barely-there scents, and some even love prolonging the ‘new car’ smell. Aside from giving your car a lovely new fragrance, some car fresheners also act as odor neutralizers. Sometimes, the weather or your clothes trap unwanted odor inside your car, and it can get smelly fast. A neutralizer can help you get rid of those unwanted smells. Another type of car equipment you might want to invest in is pet-related ones (especially if you have a dog or a cat who loves going with you on adventures). Some of the best traveling pet accessories to get are pet harnesses, booster seats, seat covers, and pet crates. It really depends on the size, type, and personality of your pets. Some pets can fit into a booster seat while bigger ones cannot. Some pets are well-behaved enough not to get hurt by pet harnesses while others need a little space to move. Some pets are furry and might shed their hairs all over your seats. So make sure to get the one that matches perfectly with them. Otherwise, it might be an uncomfortable ride for them (and no one wants that). If you want to read more about the different kinds of interior accessories you can get for your car, head on over to the articles at Car Accessories – Interior. One type of car accessory that a lot of enthusiasts love changing is their stereo. That’s understandable since a lot of buy-able car accessories are better for sound quality. You simply need to choose which one works best for you and your car. Remember that even car speakers can be worn out due to time and constant use. Even if you’re not a car enthusiast, you can still benefit from getting a new set of car speakers if yours isn’t working up to par with your expectations anymore. Starting auto fans are more into budget car speakers that work better than their built-in stereo. Others prefer the best car speakers for bass. Some others prefer a car amplifier instead of speakers. See, it’s really up to what you want! If you’d rather get something that’s been tried and tested by others before you instead of discovering a new brand, look into Boss Audio, Pioneer, and JBL car speakers. To learn more about car speakers, its other accessories, great brands to get, and the proper installation procedures, head over to this article – Best Car Speakers. Getting a GPS system for your car isn’t just helpful, it’s necessary! Maps might be fun to have as backup plans, but the best GPS navigation can give you easy directions to anywhere you need to go without having to take your eyes off the road! Since you are going to buy car accessories, make sure to get a portable GPS for your car. Sure, with mobile technology on the rise today, Google Maps and similar devices can double as your GPS system, but they are not 100% reliable. You should still have the best offline GPS option with you. So how does a GPS navigation system work? It uses a global-positioning system that provides you with real-time instructions at every turn you make. The system continually tracks your car’s location to provide you with easy to follow, audible directions. For security purposes, having a backup couldn’t hurt. You can try known brands like the Magellan GPS among others to ensure that you’re getting your money’s worth. Yes, you got it right! This is the part where we discuss car accessories that are just there for decorative purposes. Some car accessories are just there to provide you with a cute and aesthetically pleasing vibe. You can dress up your car any way you want. If you prefer it to look like a bachelor’s ride, go wild with car accessories made specifically for guys. You can also turn it into a cute mobile by getting accessories with your favorite cartoon themes. Dressing your car up according to your personal preference is all well and fun. Just make sure not to overdo it and to follow safety guidelines as well. That means, don’t put things where it can hamper your vision or distract you from your actual driving. Fun car accessories remain fun if it isn’t causing you or anyone else problems. Some of the coolest car accessories to get right now are USB chargers so you can recharge your phone while on the go, Bluetooth-activate keychains for easy retrieval when you misplace your car keys. For vintage car owners who want to play modern music from smartphones while driving, should get a Bluetooth cassette adapter. Or, if you’re a frequent long-distance traveler or like to do camping trips a lot, getting an RTIC or YETI cooler to store all your cold drinks and foodstuff. Girls are notorious for their love for decorating. This isn’t stereotyping! It’s just a fact that most girls like looking more put-together, so it isn’t surprising that a lot of them want their car to be a little bit more personalized. Whether they love pink, blue, green, purple or rainbow, there are lots of accessories available in stores to buy. You can even get monogram decals if you are really obsessed with having everything ultra-personalized. You can choose from preppy, edgy, girly and somewhere around the world, a store will probably have something you need. But one of the most popular girly car accessories would still be Hello Kitty. This little Japanese cat cartoon is popular even today, so it’s not hard to find a shop that sells Hello Kitty-themed automotive accessories. Cute car accessories aren’t a new thing. They might generally be under the girls’ section, but that doesn’t mean that guys can’t have cute things in your car. Cute car accessories are definitely unisex so get on buying if you want them! There is no definitive list of what car accessories you should buy first. It really depends on what your car already has, what your car needs, and what you want your car to have. But it doesn’t hurt to get a little bit of help if you’re totally feeling lost. There will be times when you park your car somewhere without any roof, or you have to drive past sandy areas, and your car will ultimately get dirty. A cleaning cloth is a quick and easy fix so that you can wipe away any dirt that gets stuck on essential parts of your car like the side mirrors and the windshield. A cleaning cloth is also a good solution for wiping off light dirt from your car’s finish. To find out the best cloth that you can use for cleaning or drying a car, just head on over to the articles found under Car Drying Towel. Another smart accessory to purchase is a dash cam. Some cars nowadays offer their own dash cams, but there are still older models that don’t. Buying a dash cam is a useful safety feature that records everything that happens while you’re driving. If you get into an accident, it’s a good investment to have so that you can show the insurance people. Admit it; you’ve lost your car in a massive parking lot once or twice before. 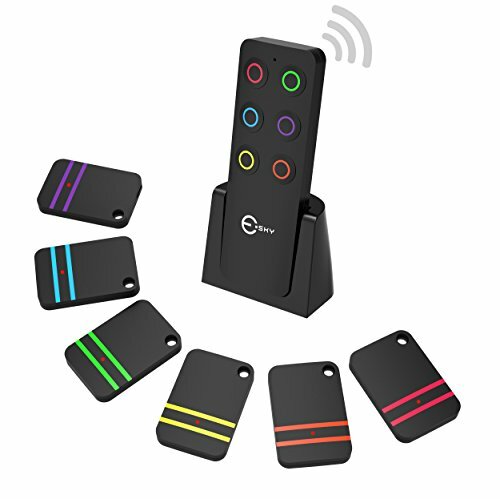 A Bluetooth-connected car locator can help you find your car quickly and problem-free. All you need to do is leave the locator inside your car, and a mobile app will show you where it’s parked. So it’s like a GPS for your parking. You don’t need highly technological accessories to improve your auto’s functionality. One proof of this is getting a simple car-sized garbage can. Instead of dumping your trash at the back of your car or on your passenger’s side’s floor, having a small garbage can keeps your vehicle cleaner and more hygiene-friendly. A storage net is not necessarily only a car accessory. It can be used for many things so why is it included in this list? Well, a storage net helps keeps the things at the trunk of your car more organized. This is especially useful for when you do your grocery shopping. No longer will your things roll on their own and risk spilling since the storage net can keep them upright and intact. Now that you know more about car accessories and some of the types you can buy, the next thing to discover is where you can actually buy them. There are lots of automotive stores everywhere that sell car accessories. You can even check your local store’s auto section, and a variety of them will be on the shelves. But if you don’t like going out to buy stuff, don’t worry! There are lots of online stores like Amazon and Autozone that keep a wide array of car accessories always available. All you have to do is pick what you want, press a few buttons, and have them shipped directly on your doorstep. Focus more on the ‘what’ product you want to buy the most!